In wake of receding apple lines, rapid change in crop patterns and devastating disasters like landslides and floods coming up, the Himalayan region is losing its beauty day by day. 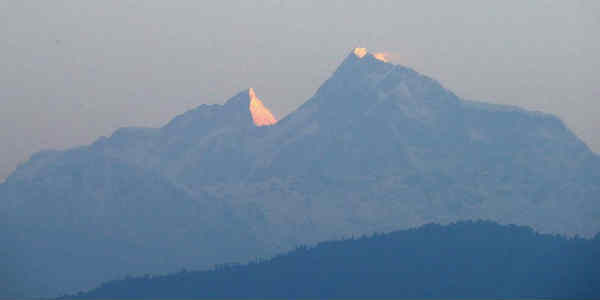 The Himalayas are one of the most sensitive climate zones. With the environment being degraded at a faster pace, the region has been witnessing dry springs and spread of vector- borne diseases for the last few years. At present, climate change is the hot topic of the town. However, its effect is felt differently over different states and even varies from district to district within the state. Socio-economic factor is the major factor that decides the vulnerability to climate change. Scientists from different corners of India have developed a common framework that assess the vulnerability to climate change for different states of Himalayan region such as Assam, Manipur, Meghalaya, Mizoram, Nagaland, Tripura, Arunachal Pradesh, Himachal Pradesh, Uttarakhand, Sikkim, Jammu and Kashmir as well as some hilly districts of West Bengal. The framework takes into an account different factors such as socio- economic factors, health and demography, agricultural production, forest life and most importantly accessibility to different information, infrastructure and day to day services. The study showed the vulnerability rate is the highest in Assam by 0.72, followed by Mizoram 0.72, Jammu and Kashmir 0.62, Manipur 0.59, Meghalaya and West Bengal 0.58, Nagaland 0.57, Himachal Pradesh and Tripura 0.52, Arunachal Pradesh 0.47 and lastly Uttarakhand 0.45. Sikkim has topped the list in being the least vulnerable pocket with the index of only 0.42. In the words of Anamika Barua, one of the principal scientists at IIT Guwahati, “Most places of Himalayan region are prone to climate risks and the fact that vulnerability is a relative measure defines that this assessment does not portray Sikkim, Uttarakhand and Arunachal Pradesh as having a low vulnerability in an absolute sense. Obviously, these states are least vulnerable as compared to other states, however, these also have several sensitive factors that need to be solved”. The reason why Assam is the most vulnerable to climate change can be attributed to several factors such as low per capita income, increasing deforestation, small area under irrigation, large number of marginal farmers, lesser known sources of income and ever-increasing rate of poverty. “Climate adaptation is the combined effect of appropriate use of technology, vision, policies and involvement of local public. The vulnerability maps play an important role in this direction”, said by Secretary at the Department of Science and Technology (DST), Professor Ashutosh Sharma. Akhilesh Gupta, head of the climate change programme in DST reveals, “These assessments are important for officials, different decision makers, agencies that provide funds and for experts to evaluate vulnerability and developing ideas for adaptation”. “The framework could also be applied to other parts of the country, given the fact that we need to make certain modifications”, Professor NH Ravindranath from Indian Institute of Science, Bangalore, said. The assessment has been done by the experts from Indian Institutes of Technology (IIT) at Guwahati and Mandi, in collaboration with Indian Institute of Science, Bangalore, altogether with support from the Department of Science and Technology and the Swiss Development Corporation (SDC) which is working towards the Indian Himalayas Climate Adaptation Program (IHCAP). Professor Timothy A Gonsalves, director, IIT Mandi, tells “To understand the concept of vulnerability and its hazardous effect on the Himalayan region, various research projects are being undertaken”.